How is the flow rate controlled? Is there a flow restrictor within the shower head? Could this be removed? I live in a unit with low water pressure, so what's coming through is less than the 1.5 GPM. How does this attach to the valve? 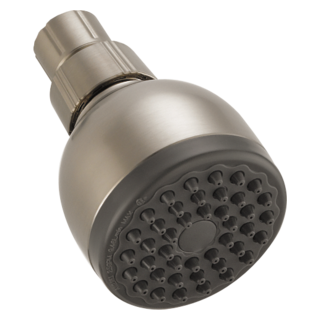 We have an old peerless shower faucet that we are trying to replace with one with a brushed nickel finish. The old handle attaches with a screw and the old cover plate attaches to the valve by a 2inch round pipe shaped piece that is threaded and has a raised lip about a quarter inch down from the end that tightens down on the cover plate. I don't want to have to tear the wall out. Would you have any faucets compatible with this type of attachment to the valve?